Governments in Oregon unreasonably delay handing over public documents or charge too much for that access, and put records of elected officials sometimes nearly beyond reach of citizens, according to a new state report. Those are the findings of Ginger McCall, Oregon's public records advocate and included in a formal report issued last month by the state Public Records Advisory Council. Her observations are her own, though, based on her experiences in recent months with government officials, reporters and editors and citizens who want public documents. McCall found that Oregon's public records laws are confusing to government and requesters. It allows government officials to delay or withhold records that should be public, and there is little punishment for agencies who violate the law. If citizens or others want to challenge a government's decision to withhold public records, the recourse can be a costly court battle. Since April, McCall has trained 1,300 government employees and on Oregon's public records laws. She has also been called on in 90 instances by reporters and editors for help getting government records. The council's report is meant to inform Gov. Kate Brown and the Legislature and promote reforms in the law. McCall and the public records council received reports of government officials overusing their authority to keep records secret relating to criminal investigations, personnel matters, trade secrets, and internal communications. Decisions to withhold records are based on employees' reading of the law and they are sometimes poorly trained to do so, the report said. One example is waiving the cost of providing a record. Public agencies can provide records at free or reduced cost if the information serves the public interest. Some agencies often waive fees, while others have a policy against it, even if the information serves the public. McCall's report flagged the city of Molalla's policy not to waive fees. Kelly Richardson, city recorder for Molalla, said the city charges the cost of gathering and copying records because it wouldn't be fair for the community to have city employees doing the work for free. "I have found if there is no monetary value attached to the request often times people will make a frivolous request and waste my time and I never hear from them again," Richardson said via email. McCall called the issues "systemic" and said they are caused by a range of challenges, from governments that can't search databases to citizens making sweeping requests that can involve thousands of pages of material. McCall said the law is ambiguous in many ways. 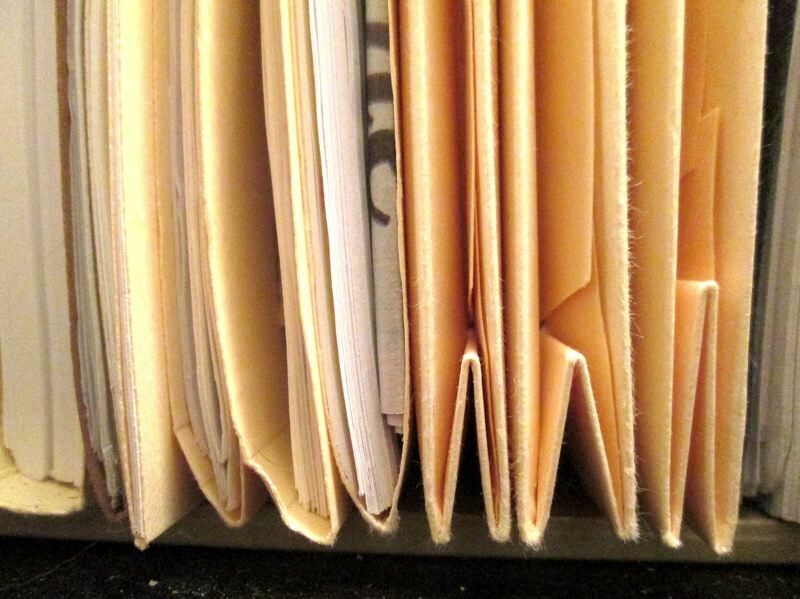 According to her report, there are at least 550 exemptions in Oregon's public records law. The report noted that government agencies use exemptions to withhold information when there is no reason to do so. Government agencies are supposed to weigh benefits of keeping the information private against the interest of the public. "Often public interest balancing tests are not applied consistently or correctly when withholding exempt documents from these categories and others, and the presumption of disclosure in the law is not honored," McCall wrote. McCall also found some jurisdictions, such as the cities of Portland and Salem and Marion County, charge a flat fee to provide specific records. The law allows them to charge only the actual cost of providing the documents. Those agencies say they have assessed the average actual cost of each type of record and charge that amount. "Charging all requesters based on an 'average' cost of processing public records requests removes incentives for requesters to submit narrowed requests and is unfair to a requester who submits a properly narrowed request," McCall said in her report. McCall said she doesn't know how many jurisdictions do this, but she is hearing about it more frequently. McCall also found delays to be prevalent. Public agencies generally have 15 business days to disclose public records. Agencies can take longer if it's not practical to disclose the records within that time frame. That provision, "is unnecessary and entirely undercuts the requirements" McCall found. The result, McCall found, "can make it difficult for victims to obtain insurance payments, limit the damage of identity theft, pursue civil litigation, take precautions to protect their personal safety, or vindicate their rights in a variety of other venues." Another provision in Oregon's record law provides the only way to legally challenge an elected official's decision to keep documents confidential is to sue in state court. "Most requesters simply do not have the resources to vindicate their rights in court," McCall wrote in the report. "This creates a lack of accountability around the decisions of elected officials as any disputes about the disclosure of public records in their possession can only be settled in court, which is an often prohibitively costly and time-consuming undertaking for most requestors." In most instances, a request to a local or state can be appealed without cost to the attorney general or local district attorney. Appeals, however, can involve an arduous process. "The avenues for appeal — including appeals to the attorney general or district attorney or appeals to the courts — are often expensive or time consuming, and requesters are forced to bear the burden of enforcing the law," McCall said in the report. But not all of the blame is on government. McCall found requestors often send broad requests, such as records of all communication between a government employee and another party. McCall found such requests appear to result from a growing distrust of agencies repeatedly showing a lack of cooperation with public records requests. The council is already proposing two pieces of legislation. The first is to make the council permanent; it's scheduled to sunset at the end of 2020. The other would require state agencies to report annually how they handle public records requests. But McCall wants further action. Her report is based on anecdotal information, but she wants data. To that end, the Public Records Advisory Council is surveying the state's 10 largest cities, all state agencies and a random mix of other government bodies. McCall hopes more government workers attend her trainings. She said a lack of understanding rather than bad faith leads to public records confrontations. "I have found in my meetings with government officials that they have been really willing to participate and talk to me," she said. "Most people want to do good."